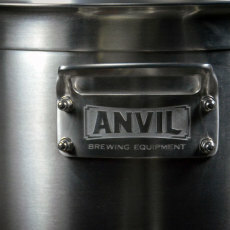 Anvil Brewing Equipment's 5.5 gallon brew kettle is the ultimate stovetop brew kettle for 1 - 2.5 gal batches or 5 gal concentrated wort boils. Specifically designed for brewing applications, this 5.5 gallon kettle is perfect for doing small batch sizes, and can even be used as a small hot liquor tank! 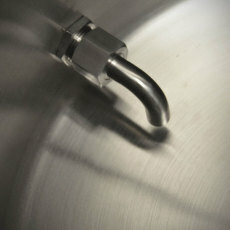 Perfect for: Stovetop batches of 1 - 2.5 gallons or 5 gallon concentrated wort boils. 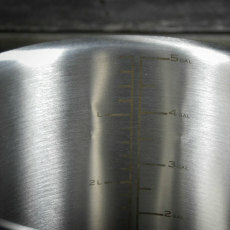 The kettle is graduated with internal etchings that show measurements in both gallons and liters, ensuring accurate measurements every time. 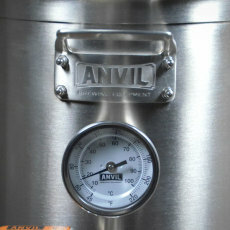 Anvil kettles come standard with a thermometer, 1/2 in. NPT ball valve and dip tube that reaches down to within 3/8 in. of the bottom of the kettle. 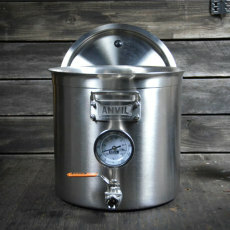 Up your game with a 5.5 gallon brew kettle from Anvil Brewing Equipment! 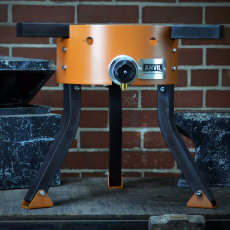 Kettle Dimensions: Height-11 5/8" | Diameter-12"
Overall, Kettle is well made. Brewed a one gallon batch of beer and it worked great. 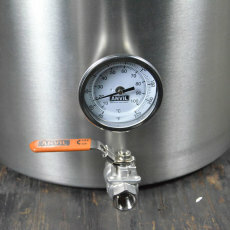 Only negatives are Thermometer is a little high, so if you are only making a 1 or 2 gallon batch, the thermometer will not be submerged in the liquid. 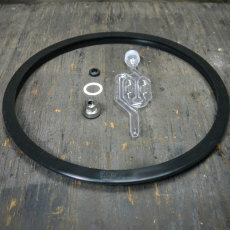 For the ball valve, you only get a 1/2" female NPT, which is fine to mate to whatever configuration you may have, however, you will at least need a connector with a hose in order to get the siphon effect for the internal elbow. 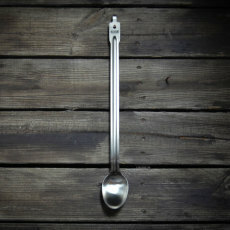 Otherwise, you will leave about a 1/2 gallon in the kettle if you try to drain it just through the valve. I bought a 1/2" male NPT to 3/8" hose barb and connected about 2 feet of clear tygon tubing in order to drain the kettle completely into my fermenter.